What are the neurological origins and mechanisms that govern our consciousness? How did it develop? What mental processes are truly conscious and what are unconscious processes (how does the brain work, develop perceptions, solve problems, etc)? 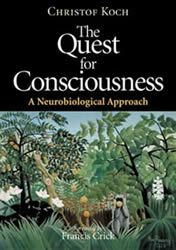 What level of consciousness do other living things experience? Neuroscience is a field that is devoted to the scientific study of the nervous system. Such studies may include the structure, function, evolutionary history, development, genetics, biochemistry, physiology, pharmacology, and pathology of the nervous system. Traditionally it is seen as a branch of biological sciences. However, recently there has been a surge in the convergence of interest from many allied disciplines, including cognitive- and neuro-psychology, computer science, statistics, physics, and medicine. The scope of neuroscience has now broadened to include any systematic scientific experimental and theoretical investigation of the central and peripheral nervous system of biological organisms. The methodologies employed by neuroscientists have been enormously expanded, from biochemical and genetic analysis of dynamics of individual nerve cells and their molecular constituents to imaging representations of perceptual and motor tasks in the brain.